Nissan has placed fresh emphasis on its Navara one-tonne ute range with two new special edition dual cabs: the ST-based ‘Black Edition’ and SL-based ‘Silverline’. Following the well-worn path that virtually every other manufacturer uses to boost interest in their models, Nissan has had a strong response to its value-laden mid-spec editions in the past – such as the 2017 ST-X N-Sport – and has now added a host of accessories and other detail items to create the ‘black and silver’ duo. It has also introduced attractive drive-away pricing that makes them more affordable than their donor models, with ABN holders the main beneficiaries with the Black Edition priced at $46,990 and the Silverline at just $37,990 (both manual, with auto adding $2,500). The price for private buyers is $1,700 further upstream on Black variants, and an extra $1,500-$1,600 (manual/auto) on Silverline. Black really is the central element in the ST-based special edition, with the colour appearing on the 18” alloy wheels (with General Grabber all-terrain tyres), front grille, nudge bar, fog lamp surrounds, smoked bonnet protector, wing mirror caps, wheel arch flares, sports bar and body decals. And, yes, the sheet-metal colour can also be specified in black, although other options include white, silver, grey and red. Metallic paint adds $550. The Black Edition also features an LED light bar, soft tonneau cover, protective tub liner and, inside, a mobile phone holder. The Silverline, meanwhile, has 16” alloy wheels in place of the standard steel rims, a polished alloy sports bar, unique tailgate badging and, again, a mobile phone holder in the cabin. Its exterior colour palette mirrors the Black Edition, minus the grey. There are no mechanical changes to the Navara, which at this level runs with the twin-turbo version of the 2.3L four-cylinder diesel engine producing 140kW of power and 450Nm of torque. 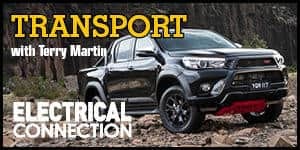 It combines with a six-speed manual or seven-speed automatic gearbox, driving through a part-time 4WD system with low range. 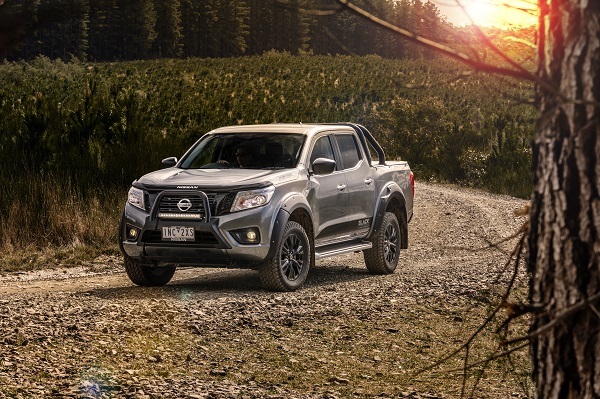 The new editions join the Series III range in the current D23/NP300 generation, upgraded early in 2018 with a raft of mechanical and detail specification changes to make Navara better suited to Australian conditions and customer preferences. For the SL, ST and ST-X dual cabs, which have a five-link coil spring rear suspension, the overhaul was headlined by a fresh round of modifications – including a dual-rate rear spring system and faster steering gear ratio – aimed at further improving ride and handling characteristics, especially with a load on board or with a trailer behind.